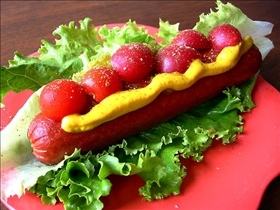 Hot dogs are a common American food item that is found at cook outs that kids and adults alike love to eat. However, even though there are tons of people who enjoy having a hot dog for lunch or dinner, there are only a few manufactures of hot dogs. The top two being Oscar Meyer and Hebrew National. Yes, they both make hot dogs, however, there are some striking differences between the two. Including the ingredients that they use, the taste of the hot dogs, as well as the price of the hot dogs. Oscar Meyer prides itself on being the premier manufacturer of hot dogs since they have been around for many years, they are a trusted brand that many people purchase. However, what do they put in their hot dogs? Everyone has heard the horror stories that the hot dog is made out of meats that are not fit to be sold anywhere else. Oscar Meyer uses a combination of separated chicken, pork and beef to make their hot dogs. These are referred to as meat by products. There are various other ingredients, such as salt and chemicals for coloring and to preserve the hot dog in the package. On the other hand Hebrew National prides itself on not using those products that are considered second hand while making hot dogs. They use all products that are not considered to be the scraps, while also including no chemicals that affect the coloring of the hot dog. Overall, when considering the ingredients as the aspects on which to make a decision for your hot dog buying needs, then Hebrew National uses more natural products. When it comes to taste, it really is a personal preference. However, when looking at hot dogs, most people judge them on the degree to which they can taste actually meat and not the salty fat that is contained in so many hot dogs. 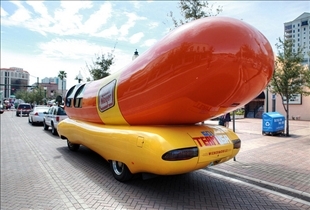 Oscar Meyer has been a long standing brand, thus they do have some dedicated followers. However, when put to a taste test with Hebrew National, Oscar Meyer usually loses. This is because the Hebrew National has a more natural taste since it does use more natural ingredients. However, both hot dogs are full of fat unless you do get the reduced fat version of the hot dog. The price is one of the main reasons that people buy a certain brand. Oscar Meyer hot dogs run around two to three dollars, depending on what type of hot dog that you get. However, Hebrew National runs around five or six dollars per package. So when it comes to price, the winner is definitely Oscar Meyer. Hebrew National uses more natural ingredients in their hot dogs, without the meat by products. Hebrew National gets better ratings in regard to taste when tested against Oscar Meyer. Oscar Meyer is much cheaper per package when compared to Hebrew National. So much so that you could purchase two Oscar Meyer's for the price of one Hebrew National. It doesn't make any sense to say that they use "separated meat." What you mean to be saying, I believe, is mechanically separated meat. That said, because mechanically separated beef cannot be legally used in food products in the US (primarily because of risk of mad cow disease), you're obviously comparing a Hebrew National's all-beef hotdogs to Oscar Meyer's chicken/turkey/pork varieties. This isn't exactly a fair comparison.